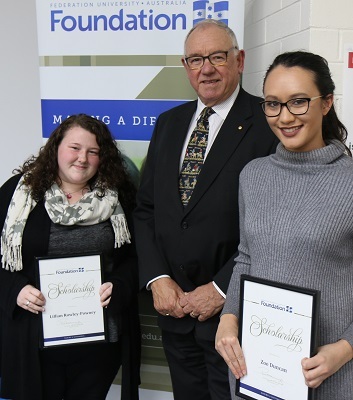 The Federation University Foundation had pleasure in awarding 19 Foundation Commencing scholarships valued at $3500 each in 2018. 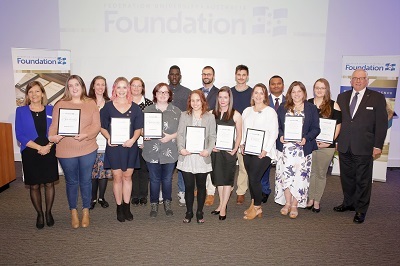 From left: Prof Helen Bartlett, Vice-Chancellor and President; Brittany Harris; Kelly Nadarajan; Olga Torgovnikova; Kym Willis; Kristin Boyce; Mark Aleu; Sharon Hall; Matthew Snooks; Rhiannon Coyle; Liam Mathieson; Eliza Liston; Venkata Rao Gondi; Emma-Jane Norman; Tiah Hobbs-Little; and Dr Paul Hemming, Chancellor. 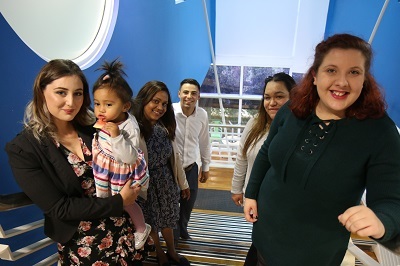 From left: Brooke Tahir; Mahadurage Nadeeshani Perera Gunatilleke; Tylah Meunier; Kimihia Kere; and Ebony-Rose Nudelman. From left: Lillian Rowley-Powney; Dr Paul Hemming, Chancellor; and Zoe Duncan.